All of a sudden - Ponies. So...is this a new site theme or somethin? Are we gonna go on busines as usual and not question the random abundance of ponies? Are you gonna keep this theme around for those that like it as optional? Uhh. . . ponies? What ponies? No. I literally just came on the site and I'm greeted by ponies. There must be something you're not telling or deliberately playing dumb about. You and your apparent April Fools Pranks, AOB. Im really impressed over that imgur picture you Photoshopped. 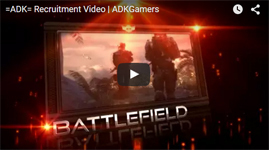 I could use someone like you in the GFX department in ADK if you decided to recruit with us. 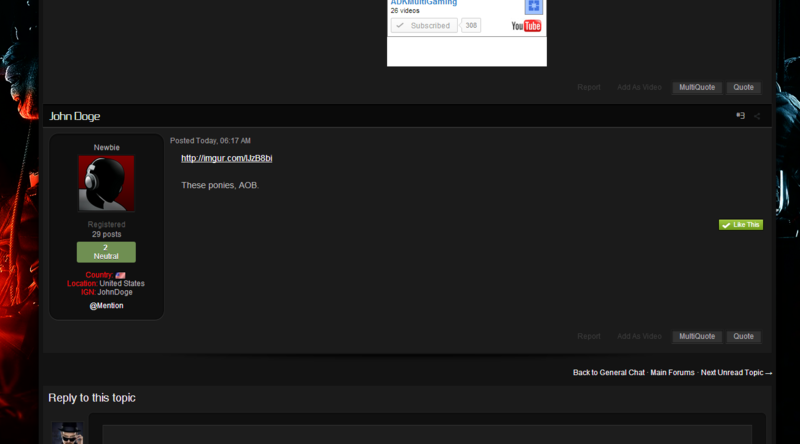 I understand you are trying to play a joke on us making us think you are seeing some kind of Pony site with ADK on it. Nice try but im not falling for it. I do quite a bit of Photoshop myself and I can usually when a pic has been manipulated and such. I do give props tho on your image, it does look quite real how you added all the text and stuff. I know it was an April Fool's prank now. Tsk, tsk. Forgot what day it was. I didn't even think about it, just changed the theme back. minus the ponies, I do kinda like the setup of the home page. Rainbow dash is my favorite. Someone did a good job with this theme. They should def get a promotion. Bet this was thrown together in like a hour. So ADK now means a different kind of brony? Im guessing for April Fools day? Personally, I like it lol. I think it's fun and watch MLP with my daughters all the time since it's their favorite show. I'd like to have this as an option for after April Fools Day honestly, since my kids find it great too.